(CBS/AP) The price of coffee is skyrocketing on speculation that Colombia's harvest will be smaller than expected for the fourth straight year. Coffee for December delivery jumped 10.6 cents, or 6.5 percent, to finish at $1.7365 per pound. That's the highest level since early August. Although Brazil's coffee crop appears headed toward a robust harvest, Colombia's crop was hampered by heavy rainfall that caused delays earlier in the season. Colombia could produce a smaller-than-expected crop for the fourth consecutive year, Barclays Capital analysts said in a report on Friday. The $1.73 per pound price tag is still better than last year's high of around $3 per pound, and even lower than a high of $1.90 per pound earlier this year, Forbes reports. 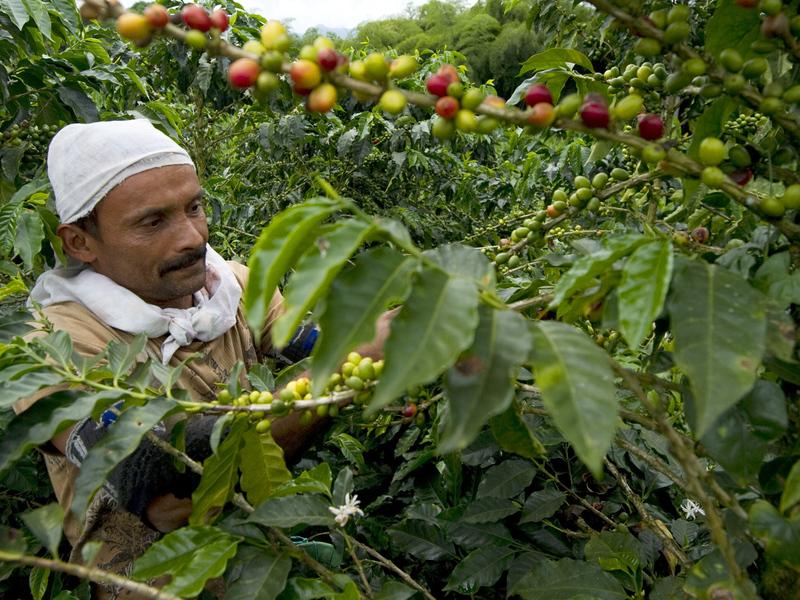 Most coffee retail companies like Starbucks (SBUX) and Dunkin' Donuts (DNKN) have long-term contracts with coffee producers, keeping them largely immune to short-term fluctuations in market prices. That said, Starbucks did raise its price on all packaged coffee in the U.S. by 12 percent this past March, and another 17 percent in July, according to AOL Daily Finance. Other commodity prices shrugged off fresh signs of slowing economic growth in China, which is a huge importer of raw materials such as copper, oil and soybeans. China's imports shrank unexpectedly in August, an indication that its economic slump is worsening. The Chinese president warned growth could slow further, prompting expectations of possible new stimulus spending. That could help economic growth, which would benefit metals and other raw materials. Traders also are waiting to see if the Federal Reserve will approve more measures to aid the U.S. economy at its meeting this week. The government reported weak growth in jobs in August which came on top of weakness in manufacturing. Gold for December delivery fell $8.70 to end at $1,731.80 per ounce, December silver dropped 5.7 cents to $33.633 per ounce. December copper rose 4.35 cents to $3.6885 per pound, October platinum gained $7.50 to $1,603.80 per ounce and December palladium increased $18, or 2.7 percent, to $672.75 per ounce. Benchmark oil gained 12 cents to finish at $96.54 per barrel, heating oil increased 1.79 cents to $3.1668 per gallon, gasoline rose 0.44 cent to $3.024 per gallon. Natural gas jumped 13 cents, or 4.8 percent, to $2.812 per 1,000 cubic feet. In agricultural contracts, December wheat fell 15.25 cents to end at $8.8975 per bushel, December corn dropped 16.25 cents to $7.8325 per bushel and November soybeans decreased 17.75 cents to $17.1875 per bushel.